Photography has become incredibly popular on the internet, and for good reason: it's a fast-growing and accessible hobby whose results can be enjoyed by anyone. Most sites focus on blog-style content that gets broadcast frequently, which is an important role that is well-suited for the internet. However, this website believes that there is also a strong need for more permanent, reference-style content that readers can continue to benefit from time and again. Toward this end, our tutorials typically focus more on concept than procedure, are highly visual and often interactive, and cover each topic thoroughly but concisely. We also try to keep them as independent of the type of camera or software as possible. While this definitely requires more work on our part, we feel it's of great benefit to readers who learn best from this type of approach. Although this website's primary focus is helping others learn more about using their cameras, its original purpose was to share my gallery of photos from Cambridge — hence the name "Cambridge in Colour" (no official affiliation with the University). The images contained within the "Cambridge in Colour" gallery are from in and around the University of Cambridge in the United Kingdom. Cambridge is one of the oldest universities in the world and is rich in history and tradition. Although one university, Cambridge is composed of 31 separate colleges, each with its own community and architectural style. This history and diversity no doubt makes Cambridge uniquely scenic, and in low-light it comes alive with a moody atmosphere. I have thus chosen to capture many scenes in this gallery by using long exposures during rare twilight or moonlit conditions — taking the viewer to magical places which visitors seldom see. Photographs from this collection have been published in several calendars, holiday cards, books and magazines, including by the Cambridge University Press and the Cambridge City Council, amongst others. My current camera equipment includes the Canon EOS 5D Mark II digital SLR camera along with the Canon 17-40 mm f/4 L, 24-105 mm f/4 L IS, 70-200 mm f/2.8 L IS, 70-200 mm f/4 L IS, 24 mm TS-E II, 85 mm f/1.8 USM and 50 mm f/1.4 USM lenses. Detailed EXIF information for photos in my gallery can be found in the Cambridge University photo gallery on PBase (which predates this website). As a scientist by training, I am fascinated by the interaction between technological developments and the range of creative options available to photographers. Much of this fascination initially went into photographing the low-light scenes in Cambridge, but has since grown to include sharing photography tutorials through this website. This website's gallery was captured during the course of attaining my PhD in chemical engineering from the University of Cambridge. I had previously conducted undergraduate studies at the California Institute of Technology, also in chemical engineering. 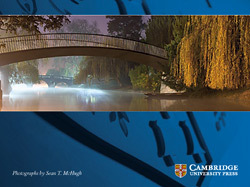 As part of the Cambridge University Photographic Society, I conducted student workshops relating to general camera and digital SLR technique, photographic post-processing and low-light photography. 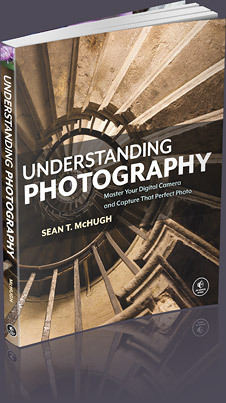 These included participants ranging from those with their first camera, to more seasoned users wishing to refine their techniques. Time permitting, I also occasionally conduct one on one workshops in the United States; if you are interested in arranging a session please let me know.